The Mercy Endeavors Senior Center serves the aging population of the Irish Channel and Garden District neighborhoods of New Orleans by providing daily recreation and social activities, educational opportunities, nutrition programs, noon meals, and advocacy programs to over 100 members of the community. The mission of the Mercy Endeavors Senior Center is to encourage older adults to live life to the fullest by supporting their independence, self respect, and vitality and by offering opportunities of social engagement, physical activity, education, and recreation. The 2006-2010 Consolidated Plan for the City of New Orleans identifies assistance to “the elderly in maintaining their independence by developing and enhancing appropriate support programs” in their strategic plan to meet the dire needs of seniors. According to the 2000 Census, 35.9% of the aging population in the Irish Channel neighborhood of New Orleans live alone while 49.3% of the aging population in the Lower Garden District live alone – these averages are higher than both the city of New Orleans and the state of Louisiana averages of 34.2% and 30.7%, respectively. The goal of the Mercy Endeavors Senior Center is to provide as many preventative and essential services to this population as possible. 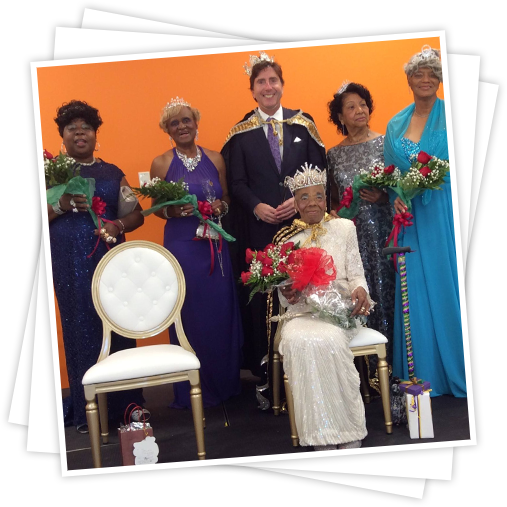 The Mercy Endeavors Senior Center plays a critical role in the aging continuum of care, providing comprehensive and vital services to the senior community. It is our civic and moral responsibility to ensure that this center is modern, offers diverse programming, has adequate resources and support, and is staffed appropriately to meet the needs of this population. 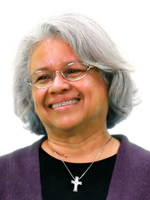 Sister Jane Briseno, RSM, was born in Slaton, Texas. In 1967 she was called to the Sisters of Mercy, a year after graduating from high school. Sister Jane joined the Sisters of Mercy in St. Louis, Missouri, where she received her formation and education as an educator, receiving a B.A, from Harris Teachers’ College. Later, she received her Masters Degree in Theology from St. Mary’s University in San Antonio. Sister Jane spent most of her ministry in Amarillo, Texas, as a teacher, a catechist, and a formation director from lay ministers in the church before coming to New Orleans to do parish ministry in 1988. In 1997, Sister Jane became involved in the opening of Mercy Endeavors Senior Center to meet the needs of the Aging population in the Irish Channel/Lower Garden District.